A multipurpose responsive WordPress theme. Ashoka is a multipurpose One Page WordPress theme suitable for creative agencies, restaurants, education institutes, law firms, construction companies, charitable trusts, photographers or small business websites. It is a responsive and retina ready theme and hence can easily adapt devices ranging from desktops to mobile phones including iPads and iPhones. On activating this theme you get a huge set of theme options which is powerful enough to customize this theme fully from dashboard itself. 10 premade ready to use demos are packed in this theme. Includes drag and drop page builder to design any page layout/section with the elements provided by it. Translation ready with WPML compatibility. 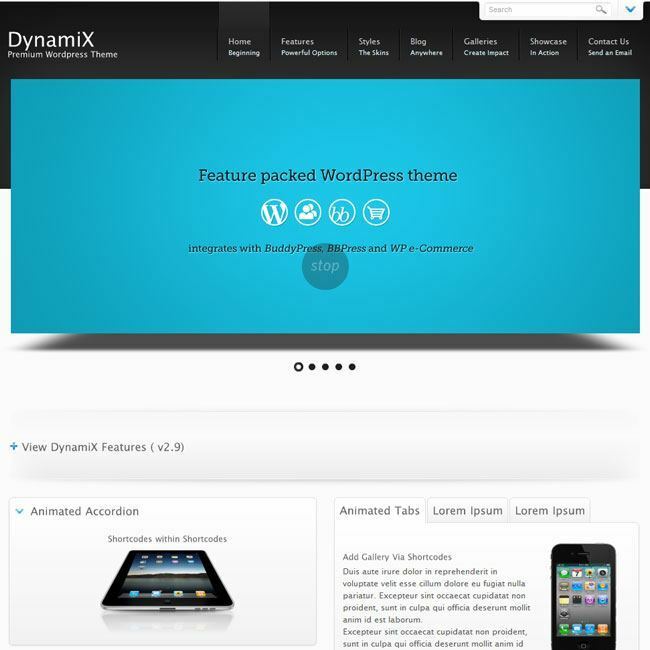 This theme is optimized for speed that is it will load faster. Also it is an SEO optimized theme that helps better search engine rank. Supports google map embedding and font icons. Another important feature is full Screen Menu & Portfolio, full Screen Video Background, Ajax Contact Form with Validation. It has filterable grid layout for portfolio. It is compatible to all browsers. It has page with right sidebar layout for blog. Ashoka, It is multipurpose theme with one page layout, which is suitable for creative agencies, restaurants, education institutes and local buisnesses etc. This theme is compatible with WPML, WooCommerce plugin and it all optimized with SEO for better search engine ranking. Awesome one page theme …..! A Creative one page multipurpose WordPress theme. Multipurpose One Page Slant WP Theme.